Sights & Sounds is your weekly guide to the Bay Area arts scene. Harpist, bandleader, and composer Destiny Muhammad told KALW’s Jeneé Darden about three fantastic arts events happening around the Bay this weekend. BAMBD Monday Night Theatre Series at The Flight Deck (OAK) Mondays in Feb.
Multi-talented folk-blues artist Leyla McCalla comes to the Bay Area this weekend as part of Banjo, Blues, & The Bayou series at the SFJAZZ center’s Joe Henderson Lab. McCalla is a cellist, banjoist, singer, and guitarist as well as a former member of the Carolina Chocolate Drops. She’ll be performing songs from her latest album, The Capitalist Blues. Mario B. 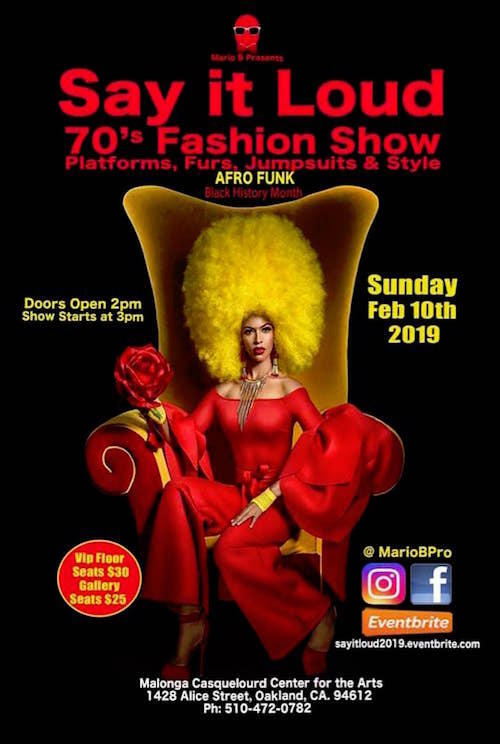 Productions presents The Say It Loud 70's Fashion Show happening this Sunday at 3 pm at the Malonga Casquelourd Center for the Arts in Oakland. There’s going to be a lot of afros, platforms, and furs as fashions of the past hit the runway accompanied by 1970's funk music. 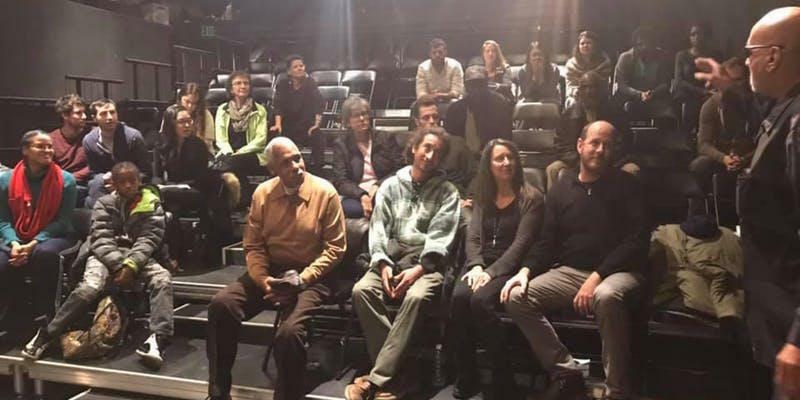 The Monday Night Theatre Series is a collection of solo stage performances at the Flight Deck in Oakland. Three actors will grace the stage on Monday evenings this month as part of Oakland's Black Arts Movement Business District Festival (BAMBD). Festival events are happening throughout February. Destiny Muhammad will perform her Storytime concert on February 17th at the Malonga Casquelourd Center for the Arts in Oakland.